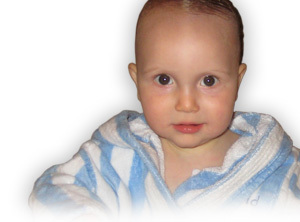 We offer Fragrance, Latex, & Chlorine-Free baby products. 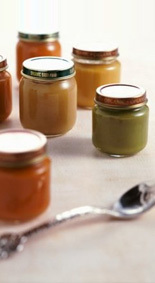 Also, we have a full line of Organic Baby food that are free of artificial colors, preservatives and don’t contain hydrogenated oils and full line of baby health and beauty aids. We also offer prenatal vitamins for moms to be. Our Chlorine-Free Diapers offer soft, cloth-like comfort and perform just as well as conventional brands. In addition to keeping your baby dry, our absorbent polymer is non-toxic and non-irritating to baby’s sensitive skin. Organic On-the-Go O's are a nutritious way for kids to jumpstart their active day and give them the fuel they need to "get going". Fortified with 8 essential vitamins and minerals for toddlers including iron and zinc, and made with organic ingredients such as whole grain oats, Organic On-the-Go O's (along with milk and juice or fruit) are a healthy part of any balanced breakfast! This gentle, Tear Free Shampoo-Body Wash gently cleanses baby’s skin and hair, and is lightly scented with Lavender to help calm baby during bath time. Beta Glucan helps to hydrate skin, while Organic Chamomile and Marigold Extracts help soothe dry, irritated or inflamed skin. This mild, hypo-allergenic formula will not irritate eczema or cradle cap. For babies that have symptoms of milk protein or lactose sensitivities, Baby's Only Organic Soy formula offers an organic option that can be explored with your healthcare professional. Baby's Only Organic Soy is carefully formulated to provide essential vitamins, minerals and fatty acids not found in soy and rice beverages.